Why Person-Centered Care Matters | Adsystech Inc.
As you could probably make an educated guess, person-centered care is–that’s right–care that is centered around the person receiving treatment. Person-centered care places value on the patient’s desires, familial situations, and what they care about most. By considering the patient as an individual, the care team and the patient work together to come to the best solution. In most care practices people are expected to fit a rigid routine that were pushed by healthcare providers and/or social services. With person-centered care a routine is made to be more flexible to better accommodate the patient. This also involves working with the families, in a collective groups, and on a one-to-one basis with a patient to make an involved decision on the delivery of service, routines and other general practices. Patient-Centered care is important because it is now recognized as a major framework in high quality healthcare (1). 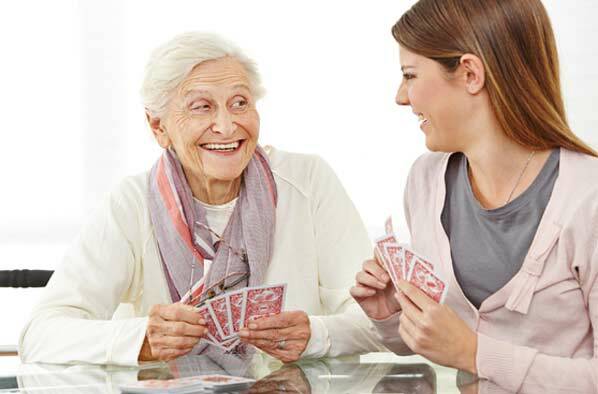 This approach in care creates a favorable experience for the patient and parties involved and was shown in a study in the UK to lead to more satisfied patients, patients who began to lead healthier lifestyles, and improved their health outcomes. 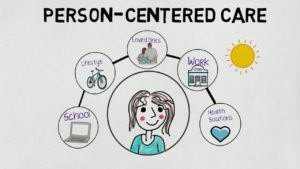 Ultimately person-centered care would look different from person to person as everyone has diverse needs. A tailored approach to care can really make a difference in the worlds of healthcare and social services. Since we are all individuals it is important to note that a one size fits all care model is outdated and not as effective.